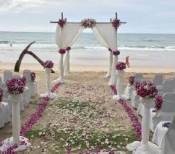 Are you searching for cheap flights to Phuket? With a little bit of research you will find there are many budget airlines that offer cheap flights into Phuket. If you are prepared to travel on a low cost carrier you can find some great flight deals that will fit any travellers budget. The easiest way to find flights that best suit your budget is by doing a little research of your own. You could spend hours trawling through all the airlines websites to find the best deals, but that could take hours. We like to use flight comparison websites to assist us in finding the best deals and it only takes a couple of minutes to complete your search. CheapOair is one of the sites we use to compare prices. You can quickly review prices for your travel dates and book your flights all on the one site. Below is a promo that is currently running with CheapOair, just click on the link to start your search. Budget airlines are not that bad and over the years we have flown with many budget airlines. Some of the flights have been direct flights into Phuket and others with short stopovers along the way. The low cost carriers that we have flown with include Jetstar, Air Asia and Air Asia X, Virgin Australia and Scoot. Like all budget carriers if you want the extras you will have to pay. 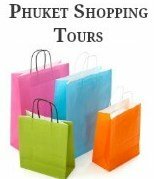 If you are prepared to do your research and book online you will find a host of cheap flights to Phuket. Air Asia X have great deals for flights from London and Dubai and from the Australian ports of Sydney, Melbourne, Perth and the Gold Coast. 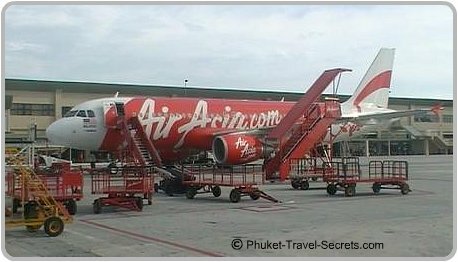 Air Asia X fly direct to Kuala Lumpur and then a short one hour flight onto Phuket. You will find the seats on Air Asia X are not as wide as most airlines and there is restricted legroom for tall people. We recommend that you pick your seats and try to get seats with extra leg room. Or pay the extra and book the XL seats for long-haul overnight flights. If you get a good deal on the XL seats they are still a cheaper option compared to booking first or business class with the major airlines. Overall we have found Air Asia X great to fly with and for the price, we have no complaints. Sign onto Air Asia's newsletter to receive updates and to see when cheap flights to Phuket come out. Do your research before accepting your travel agents quote! On a recent trip to Phuket from the Gold Coast, Australia. We saved over 50% on the cost of our flights compared to friends that we made on the same flights that were booked by a travel agent.